It seems that life is not as hard as most people think it is. Sure enough, it can serve you a great deal of pain and suffering, but those things are temporary! Just when you think that it could not get any worse, you realize that it fades away. Truth is that what doesn’t kill you really makes you stronger and that is not just a saying. In fact, you become more and more caring about your life after a tough period and that is a natural reaction. When the time to take care of your own self comes, you just need to go with your inner flow and do whatever you please, as long as it is not against the law, of course. You are about to see how some people were able to cope with situations in their own personal style or they did something in a way nobody else would. This is what it takes to be your true self! You need to trust in your abilities and have faith in your skills. People might think that what you do is crazy, inappropriate or incorrect but you should never listen to them. We hope the list below will inspire you! It will demonstrate that even the weird individuals among us are worthy of admiration and respect! Enjoy these images and choose your favorite! We all know at least a few people that we could easily relate to this awesome meme. It was created for a reason and it is more than obvious. 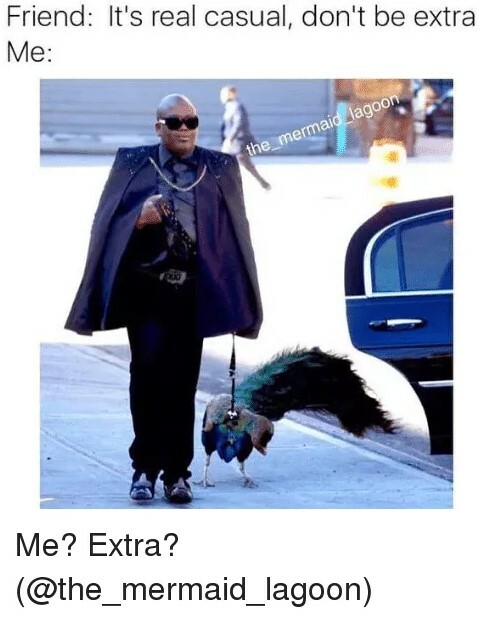 We are not sure if the photo is genuine or it was a setup created with the intention to be funny, but it is not a common thing to see someone in a lavish outfit walking their peacock in the street. This is definitely an attitude that can be described as extra and this is the whole point of the meme. As you can see, the clever caption is really cool and it describes at least onf friend everyone has. Such people always like to feel special so they dress in a lavish way even when the occasion of the event they need to attend is more or less casual. It is not a bad thing to do, of course. Everyone has the right to act as they please! In fact, we appreciate the effort a certain individual makes in order to demonstrate their personal style all the time. We believe that diversity is one of the things that drive our progress and even the evolution of mankind! People are all different and we have different interests, needs and outlooks on the surrounding world. While a lot of those differences matter a lot to the majority of us, in other cases we accept them strictly as a personal thing. What we mean is the difference in our preferences such as our tastes in food, sports, cars and everything you can imagine. These differences are the reason so many things exist today! Unfortunately, sometimes these preferences lead to really weird situations and one of them is shown in the photo above! Someone clearly wanted extra mayonnaise in their burger, and this is a whole lot of mayonnaise, too! The person who added it to the burger probably enjoyed their meal despite the fact that most people would say that it is just too much. Hollywood is an industry like no other! The wizards working there are able to produce some of the most memorable things every person could see in their lifetime. Some Hollywood productions are timeless classics but they received this status for all the right reasons! It is not an easy thing to do because one movie relies on a lot of factors in order to become a hit. The story, the director and the cast members are among them. Sometimes the main character and the actor who plays it really boost the whole production and send it into orbit! We guess that Ryan Reynolds has that power and everywhere he goes, people follow him. He is a great actor with an amazing personality and talent and e love him! 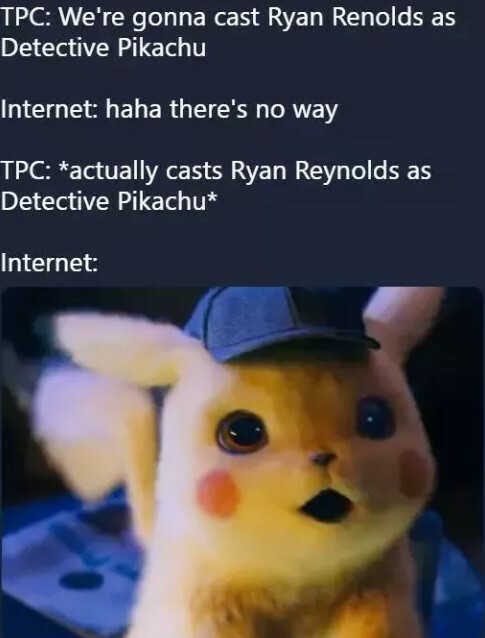 The role of Detective Pikachu is definitely a tricky one and we cannot believe that Reynolds was actually hired for it! This is definitely a perfect match! 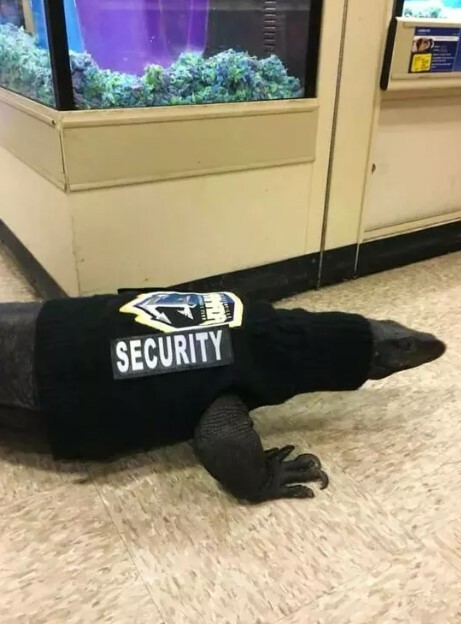 Security guards are everywhere around us. No matter if you need to go the city hall, the bank, the mall or Target, for example, you always encounter men and women in uniforms who are there to keep everyone safe and to provide them with all kinds of assistance. We believe that most people underestimate the importance of these guards’ presence at almost every location. Every time you see a guard you see a person who signed up to be of service to everyone who needs help or is in need of some assistance. 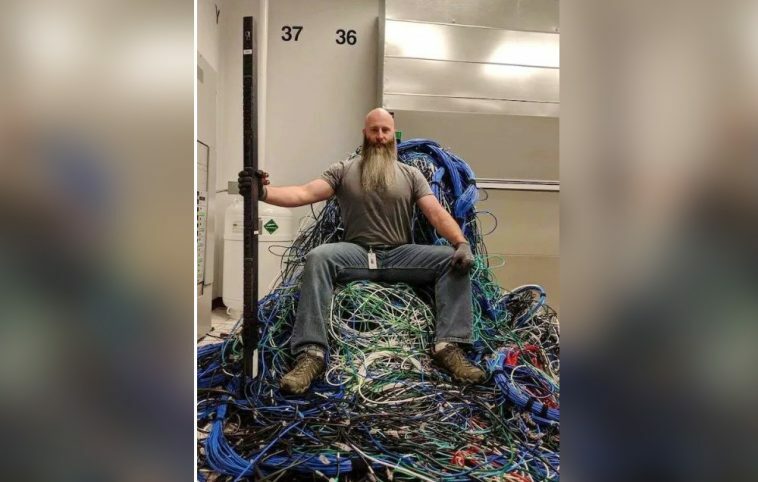 As you can see, someone decided to use the most unusual security guard we have ever seen. We believe that his main goal is to respect everyone and to make them think twice before doing something that is definitely not allowed. People are amazing and their skills will never stop surprising us! We believe that there are a lot of individuals whose talent will probably never be recognized by a wide audience because they would rather keep it for themselves. Many inventors out there are capable of creating awesome things but they keep them in their garages or basements. This is a shame because we love all kinds of tech gadgets and inventions. Of course, some of these DIY geniuses create things that might be considered to be controversial by others. Check out this bike for example which we find to be really cool. 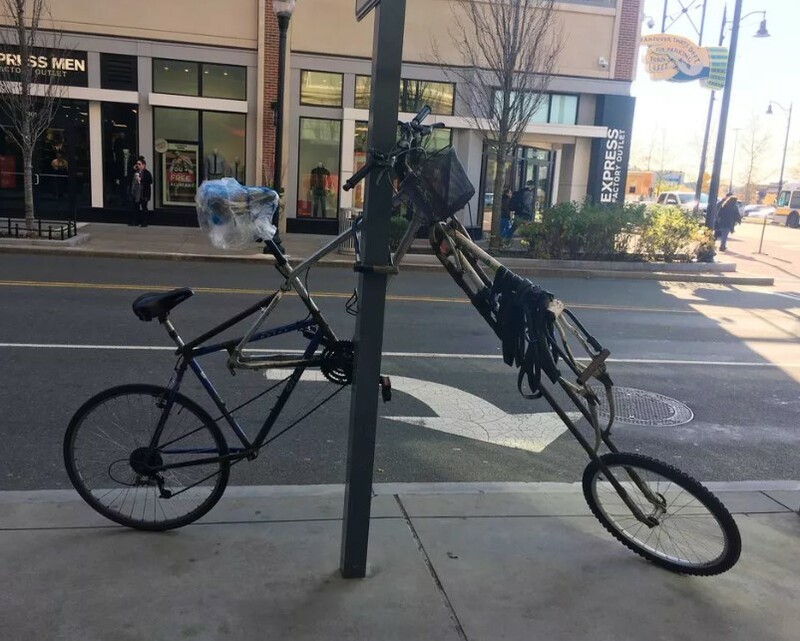 The rig is obviously created by a DIY inventor and we guess it reflects their vision of the perfect bicycle and that is all that matters after all. If you love speed, then you have something in common with us! The sensation of speed is something really overwhelming and we take every chance we have to experience it. in some cases people take things to the extreme in search of a really huge adrenaline rush but that is related to taking risks. Sometimes people are aware of those risks but certain individuals are reckless enough to do whatever they have despite the possible horrific outcome of the situation. 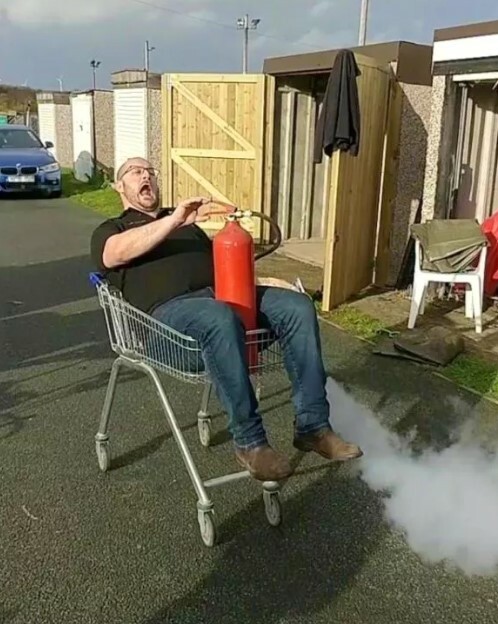 For example, propelling yourself with a fire extinguisher while riding a shopping cart would definitely be dangerous for your health and this is why you would probably restrain yourself from doing it. This person, however, decided to give it a go and you can see his reaction after he propelled the rig. We hope he was not injured after this stunt! Sometimes special things can also be weird and the one you see in the photo is the best example! 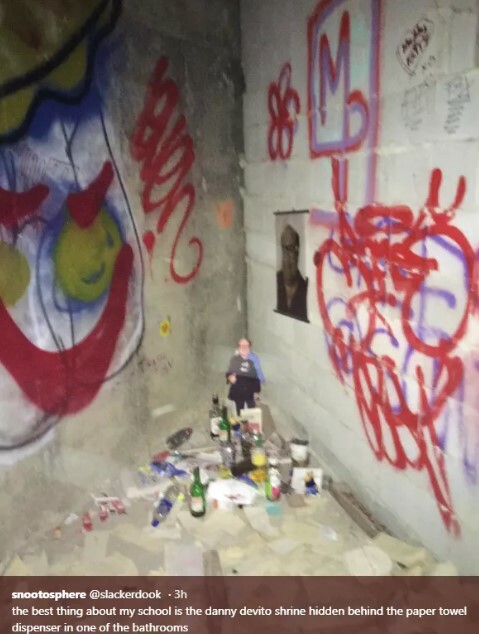 As you can see, someone decided to create a shrine dedicated to Danny DeVito! We are convinced that you have never seen something like this before and this is what makes it even more special. We are not big fans of random cults but this is one we would follow gladly! The legendary actor is an amazing person and we believe that he should get all the love and appreciation possible! Maybe he would love to find out about this shrine. There are a lot of different styles you can follow if you decide to upgrade your ride. It depends on your preferences and the type of vehicle you own but you are not obliged to follow a trend, of course. It you have a certain vision. Just go with it and forget what the others might think! 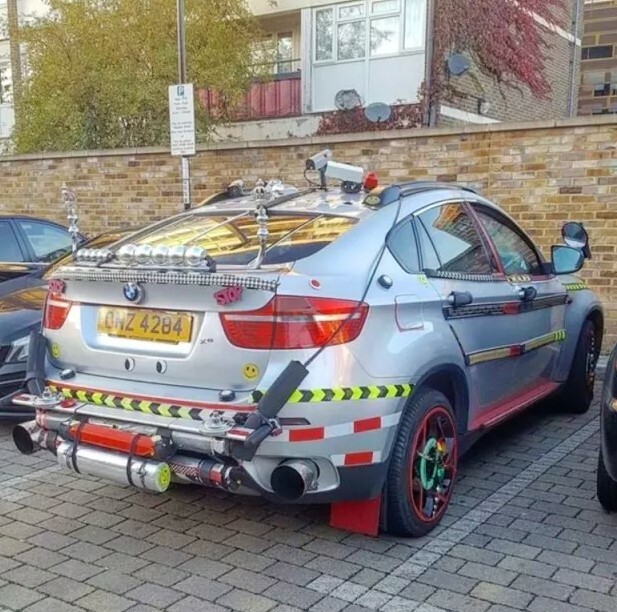 The owner of this BMW probably heard a lot of criticism about the way he tricked it out but we believe that he is happy with the end result and this is all that matters. We are huge fans of all kinds of stunts but those involving jumps are definitely the best! It takes skill, courage and focus in order to pull off a stunt like the one you see in the photo above. 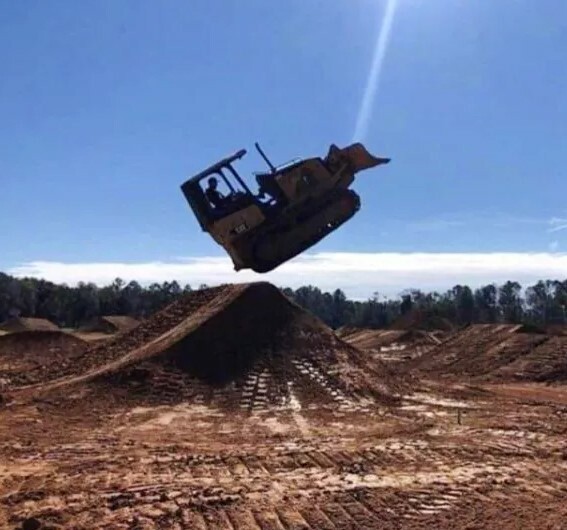 Jumping with a bulldozer is an insane thing to do but we are convinced that it was calculated well! We also hope that the stuntman was able to pull it off successfully and walked away without injuries. 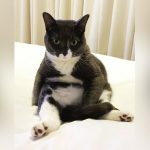 There are hundreds of cat food manufacturers out there and we guess that your cat would gladly eat whatever they have to offer. However, some people feel so extra about themselves that they strive to deliver the best for their pets, too. 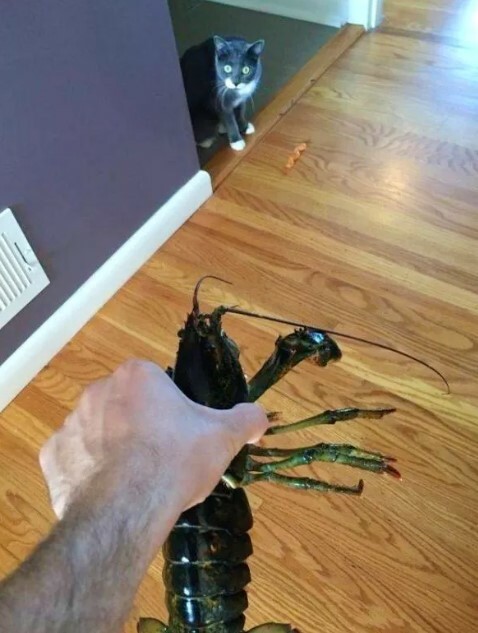 We guess that trying to feed your cat with a whole lobster is just a bit too much but it is curious to see after all!